When you think of “wilderness,” what image pops into your brain? I’d wager a lot of you first thought of snowcapped peaks—or maybe a convoluted canyonland, a lake-pocked boreal forest, or some windswept desert badlands. All of these places are undoubtedly amazing, and worldwide they certainly account for some of the deepest backcountries left on the planet. But in my mind’s-eye, there aren’t many landscapes that so embody “wild” as a swamp: dark, waterlogged, chirring with insects and frogsong—or, in northern wintry mode, a frozen-over backwater of tussocks, deadfall, and horned owls. Though the people often label any old morass a “swamp,” it’s got a specific definition. Very roughly, it’s a wetland dominated by woody vegetation: trees or shrubs. Marshes, by contrast, are more open environments with herbaceous plants such as sedges and cattails. 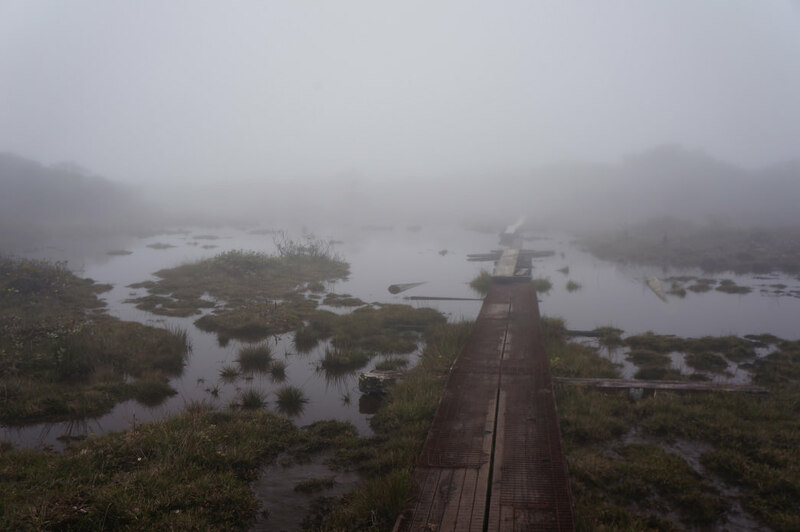 A bog can look rather like a swamp with its stunted timber, but it’s an acidic mire that builds up peat and is usually thick with sphagnum moss. Let’s take a mucky tour of some of the most important swamps in America: some of the biggest, yes, but also much smaller ones still notable for their old-growth character—or for being awesomely intimidating pocket wildernesses in the midst of heavily peopled surroundings. “Never was Rum, that cordial of Life, found more necessary than in this Dirty Place.” That was the cheery endorsement offered of the Great Dismal Swamp in the mid-1700s by Colonel William Byrd III, who named this darkly timbered wetland wilderness that once likely covered a million acres on the Atlantic Coastal Plain of southeastern Virginia and northeastern North Carolina. 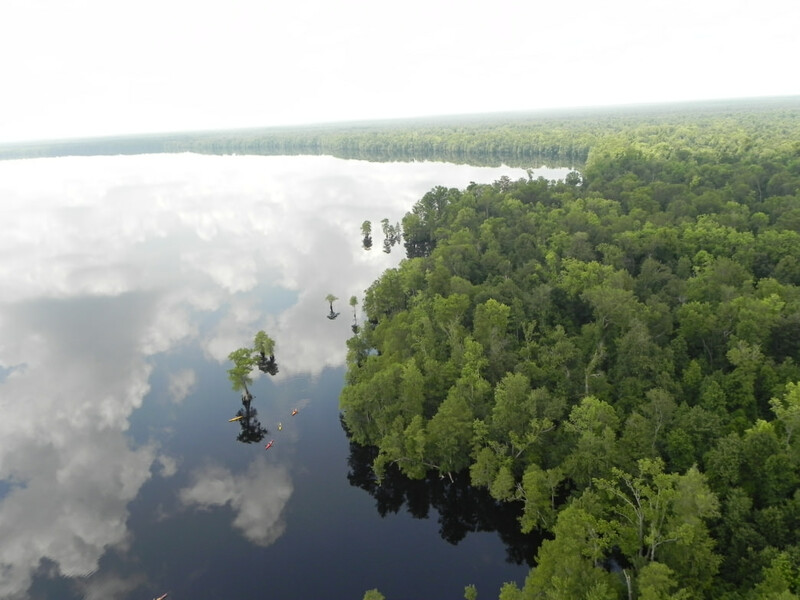 More than 112,000 acres of the swamp, heavily impacted by logging, draining, and development, constitute the Great Dismal Swamp National Wildlife Refuge, with North Carolina’s Dismal Swamp State Park bordering the southeastern end. 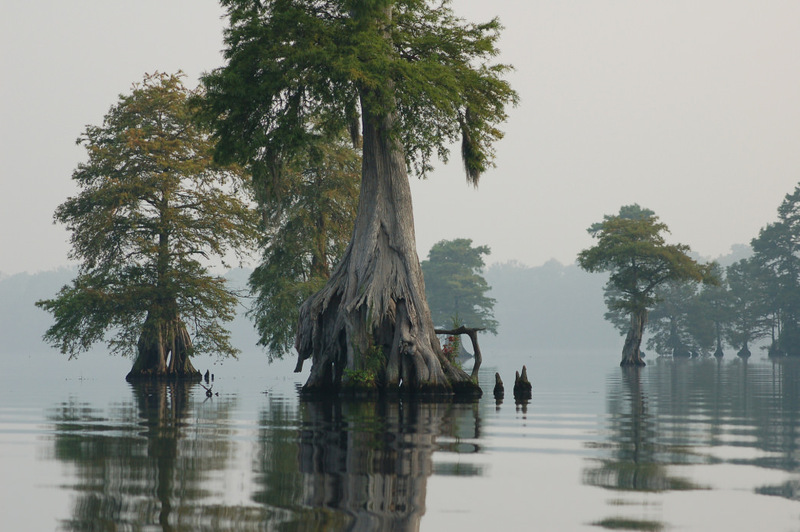 Diminished though it may be, the Great Dismal Swamp—often considered the most northerly of the Southeast’s great bottomland swamps stretching down to Florida—remains one of America’s most evocative wetlands. Like some Bahamian blue hole, Lake Drummond—the biggest natural lake in Virginia—forms a big watery eye in the middle of the refuge. Its huge baldcypress hulks are reminders of the stature of the old-growth swamp forest that once covered most of the basin. Baldcypress, water tupelo, and Atlantic white-cedar used to dominate the canopy, but red maple covers the most acreage today, having colonized extensive habitat in the wake of logging, fire suppression, and other human modifications. (You’ll find red-maple swamps all the way from Maine to Florida.) Meanwhile, marsh is developing in the extensive scar south of Lake Drummond created by the lightning-sparked Lateral West Fire, which raged for 111 days in 2011. You can bet Thoreau would appreciate the fact that the sodden groves and rank fern beds of the Great Swamp bristle only 26 miles from Times Square. He would also appreciate the efforts of the local citizens who banded together in 1959 to thwart the conversion of these forested wetlands, marshes, ponds, glades, and hardwood uplands into a jetport proposed by the Port Authority of New York. The 3,000 acres they donated to the U.S. Fish and Wildlife Service became the core of the Great Swamp National Wildlife Refuge, now more than twice that size. The refuge’s eastern half composes a federal wilderness area. The Great Swamp, which edges Long Hill of the Watchung Mountains to the south, formed thousands of years ago in the emptied basin of Glacial Lake Passaic. The Passaic River and a few of its tributaries, namely Black Brook and Great Brook, drain the swamp to the west. Get your bearings on the short boardwalk trails at the Wildlife Observation Center in the middle of the refuge or the Great Swamp Outdoor Education Center, then foray into the depths along longer paths penetrating the Great Swamp Wilderness. Think all of America’s big trees are on the West Coast? Think again: The floodplain forests and river swamps in Congaree National Park—the largest remaining old-growth bottomland hardwood forest in the Southeast—flings up a truly mighty canopy, one of the loftiest of any deciduous forest in the world. Congaree’s cathedral groves include a 167-foot-tall loblolly pine, a 162-foot-tall swamp tupelo, a 160-foot sweetgum, and numerous other champion trees. 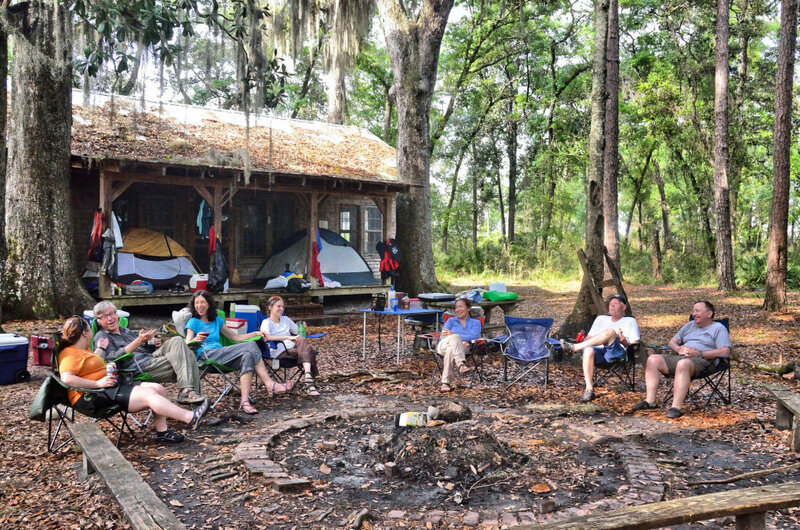 You can tent out in a pair of developed campgrounds or in the backcountry, penetrated by a trail network and paddling routes along Cedar Creek and the Congaree River itself. South of the Congaree in the Edisto River basin, the Four Holes Swamp includes the country’s largest old-growth stands of baldcypress and water tupelo, the botanical tag-team that dominates so many Southeastern river swamps. Home to the 17,000-plus-acre, National Audubon Society-owned Francis Beidler Forest, this alligator-, cottonmouth, and anole-prowled blackwater swamp—once a sanctuary for the Natchez Indians and, during the Revolutionary War, the “Swamp Fox” Francis Marion—is named for the deep ponds or “holes” sprinkled within it. Some 1,800 acres of the forest are virgin, defined by giant baldcypresses above an under-canopy of tupelo: trees that may be 1,000 years old or more. The Four Holes Swamp ranks among the most awe-inspiring of America’s wetlands, and you can get a taste for it with a walk on the Audubon sanctuary’s 1.75-mile boardwalk trail or a canoe or kayak safari (reservations required) through the blackwater channels. A multiday canoe trip into the Okefenokee National Wildlife Refuge locks you into the slow rhythm of the place. Well, for one thing, it’s slow paddling, given the twisting channels, the often-shallow water, and the obstructions of peat islands and emergent vegetation. You’ll probably see more than one gator hauled up on a log; the sight of a swamp black bear’s a rarer thrill. Along the lines of the sharp dichotomy between Manhattan and Jersey’s Great Swamp, the Green Swamp of Central Florida stakes out a reptile-thick wilderness within a stone’s throw or two from Walt Disney World (hacked out of a swamp, mind you). Covering roughly 900 square miles, the swamp—actually a diverse matrix of cypress swamps, riverine and bottomland hardwood forests, hammocks, marshes, and upland woods—is one of the Sunshine State’s major headwaters, giving rise to numerous rivers and daily funneling hundreds of thousands of gallons of water per square mile into the Florida Aquifer, upon which millions of people rely. Some 110,000 acres of the landscape compose the Green Swamp Wilderness Preserve overseen by the Southwest Florida Water Management District. Hiking opportunities abound, not least on a long segment of the Florida National Scenic Trail. As we wrote about recently, the ragged seashore of Southwest Florida is one of the wildest coasts in the country. It’s also one of the greatest swamplands, given it’s dominated by mangrove jungle (aka mangal). Mangrove swamps are massively significant worldwide as nurseries for fish and other marine life as well as stabilizing bulwarks against wave erosion and hurricanes. They’re mostly a tropical feature and therefore rare in the U.S., but the Ten Thousand Islands and the mangal sloughs off the Big Cypress and the Everglades create one of the most significant mangrove mosaics in the Western Hemisphere. Though the giant bird rookeries of the past have been reduced, the Southwest Florida mangal is still thronged with feathered life—egrets, ibises, cormorants, pelicans—and manatees, dolphins, and tarpon cruise the bays. American crocodiles, meanwhile, find refuge in the mangrove margin of Florida Bay. 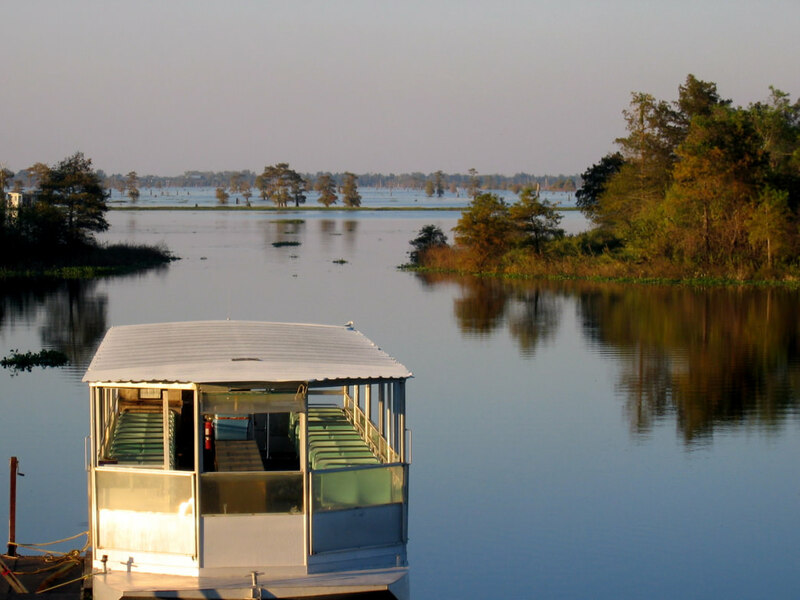 For experienced boaters, the Wilderness Waterway serves as the classic journey through this magnificent backcountry. 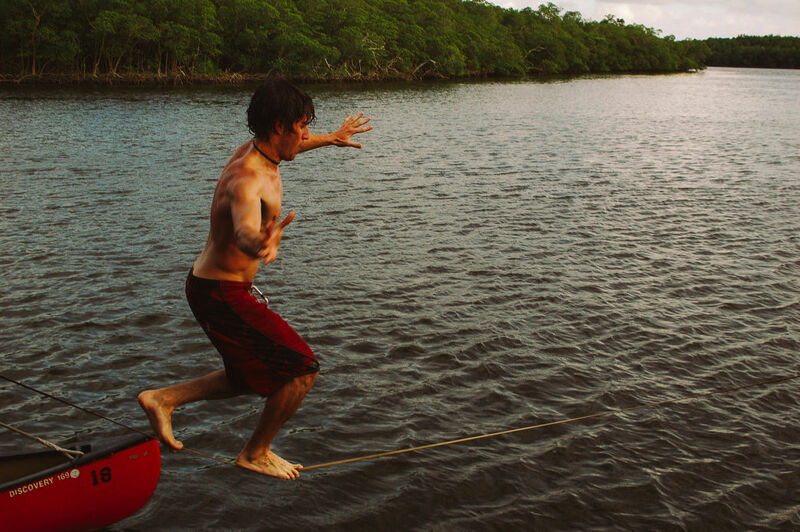 The Florida Trail also strikes through the one-of-a-kind wilderness of the Big Cypress Swamp, a vast patchwork of cypress domes and “strand” swamps, pinewoods, palm savannas, and tropical hammocks edging the Everglades to the northwest. The name today is more evocative of the extent of the country—a watershed of more than 2,000 square miles—than the size of the baldcypresses, given the old-growth titans were nearly completely lumbered out. But take a stroll on the boardwalk through the Corkscrew Swamp, a protected pocket of old-growth in the far northern Big Cypress, to get a taste for how utterly massive those buttressed conifers can grow. The Corkscrew Swamp is an Audubon sanctuary, separated by development from the complicated patchwork of publicly owned lands encompassing most of the remaining Big Cypress Swamp: among them the Fakahatchee Strand State Preserve, the Florida Panther National Wildlife Refuge, and the Big Cypress National Preserve. The latter 720,000-acre parcel, managed by the National Park Service, borders Everglades National Park to the east and south. Hikers and backpackers in the sprawling Big Cypress National Preserve outback have the chance of glimpsing a Florida panther—that puma subspecies now restricted to South Florida, more common here than in the Everglades—or a Florida black bear among the palmettos. And particularly in the winter dry season, waterways are crammed with egrets, anhingas, wood storks, alligators, and other critters. Encompassing some 900,000 acres of baldcypress-tupelo bayous and bottomland hardwood forests, the Atchafalaya (“Long River” in the indigenous Chitimachas language) Swamp is often called the biggest riverine swamp in the U.S. It hugs most of the Atchafalaya River’s 140-mile corridor extending from just south of the Mississippi-Red River confluence to the vast marshy Atchafalaya Delta on the Gulf of Mexico (its own superlative wetland complex). Harvested for oil, gas, and timber, long hunted and fished, the Atchafalaya Swamp is also a major haven for wildlife, including the rare Louisiana black bear. The swamp’s intimately tied to the Mississippi River: The Atchafalaya River has long been a flood spillway for the Mississippi, and were it not for Army Corps of Engineers regulating flow, the Mississippi might well abandon its current delta and follow the shorter seabound course through the Atchafalaya. Heavily impacted by humanity, the Atchafalaya is nonetheless big and wild enough to give a major sense of swamp primeval. The Atchafalaya National Wildlife Refuge makes a good jumping-off point. The 70,000-acre Honey Island Swamp in southeastern Louisiana and southwestern Mississippi’s Pearl River Basin sums up much of the allure of America’s swamplands. For one thing, it’s one of the wildest and most tucked-away: a remote corridor of hardwood and baldcypress/tupelo swamp in the bottoms between the West Pearl and Pearl rivers, grading into marshlands fronting the Gulf lagoon of Lake Borgne. And for another, like swamps around the world, it’s drenched in lore as an outlaw hideout—pirates such as Pierre Ramueau, the “King of Honey Island,” used it, as did James Copeland’s notorious gang—and as a sanctuary for a mysterious beast: the Honey Island Swamp Monster. A good chunk of the Honey Island Swamp falls within the Pearl River Wildlife Management Area. Numerous outfitters run tours through the backwaters, or you can brave the resident “swamp thing” on your own self-guided trek. OK, OK, so technically this waterlogged highland in the heart of Kauai isn’t a swamp, even though its popular name is the “Alakai Swamp” and Native Hawaiians also called it the “swamp in the clouds.” Ecologically speaking it’s a unique high-elevation cloud forest strung with many bogs, west of the high rim of Wai’ale’ale—with 460-odd inches of rain a year, one of the wettest places on Earth. Perpetually soaked, it’s the island’s signal fountainhead; much of the voluminous Alakai water ultimately drains through the Waimea River, which carves the awesome Waimea Canyon to the southwest of the plateau. Atmospherically, the Alakai is pretty damn swamplike in a more colloquial sense: It’s like a high swamp-jungle, usually cloaked in rain and rolling mist, tangled with stunted trees (ohia, lapalapa, and others) and huge ferns, broken by etheral mires and gushing ravines. Walled on three sides by sheer pali (cliffs) and almost impenetrable off the few ancient (and often crazy-muddy) trails that enter it—stories abound of bushwhackers lost for days or plumb vanished—it’s gloriously hard to explore. You can get a taste of it, though, along the Pihea and Alakai Swamp trails beginning in Kokee State Park.